This is a closeout item. When our inventory is gone, it will not longer be available. By the year 845 Ragnar Lodbrok was already well known for his deadly army and personal power. He attacked cities on feast days while everyone was celebrating in their Churches. He plundered every city he attacked before accepting payments as great as seven thousand pounds to spare the lives of his victims. Fear of the infamous warlord and his deadly sword spread quickly throughout the land; victims would cry out when they saw Ragnar approach their city with his Sword in his hand. 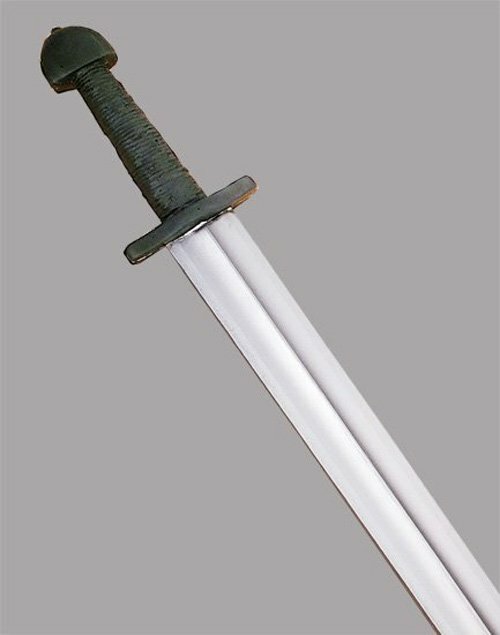 This LARP Sword is inspired from the early Viking era and is the perfect weapon for an elite Viking warrior, Chieftain or Warlord. .